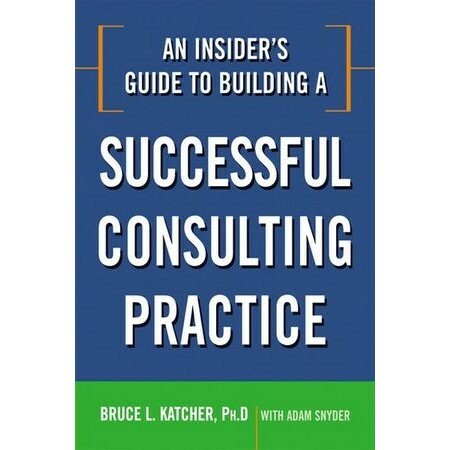 Whether you're a beginner just starting up a consulting practice, or a veteran looking for ways to invigorate your existing business, An Insider's Guide to Building a Successful Consulting Practice is an invaluable resource. Identify a market and narrow your focus. Make a smooth transition from employee to independent consultant. Sell effectively even if you've never sold before. Establish visibility through speaking, writing, and networking. Build credibility by leveraging the credibility of others. Set prices based on value. Develop a marketing strategy and divide your time between marketing and delivering your services. Keep plenty of work in your pipeline. Adapt and thrive in any market condition. And much more Complete with the results of an original survey of 200 successful independent consultants, this handy guide provides the kind of real-life advice you need to build a thriving business.